A hot summer is never guaranteed in England but when you get it, you make the most of it. 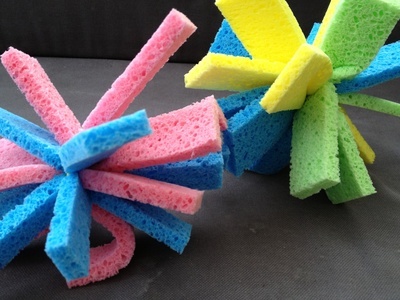 These little sponge water bombs are cheap and easy to make and create hours of fun on a hot sunny day. It's also a great way to practise throwing and catching skills. 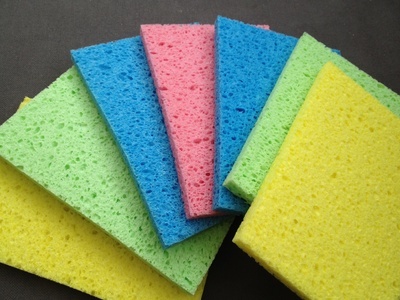 Each sponge bomb uses 3 sponges. 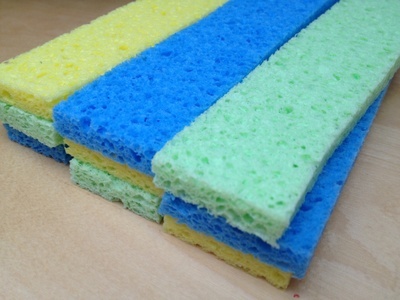 Cut each sponge into 3 long strips. Lay the pieces on top of each other, alternating the colours, in 3 layers. 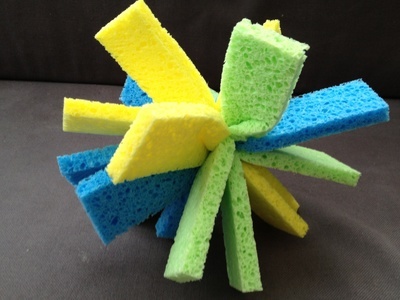 Tie the sponge pieces together with a small rubber band around the centre. 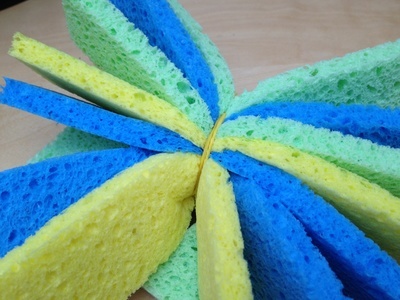 Pull the ends in different directions to "fluff" up your sponge bomb. You can try experimenting with different widths and lengths. Dip in water and throw for a water bomb.